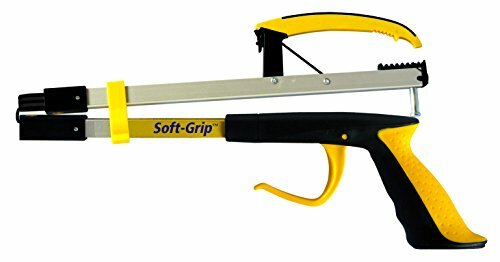 Royal Medical Solutions presents the RMS Soft-GripTM Folding Reacher with Ergonomic Handle Trigger Design that provides a soft feeling grip and effortless pulling. It is very easy to fold and is ideal for travel or carry on. It is made from high quality lightweight aluminum. Limited Life Time Warranty and 100% Satisfaction Guarantee. Easy to fold and ideal for travel or carry on. Specially designed ergonomic handle to provide soft and comfort grip. Only 14" long when folded. Limited Lifetime Warranty, 100% Satisfaction Guarantee.